Used to taking long showers? That’s actually not the best practice. Some people have the natural tendency to shower longer than usual. Others even shower twice or thrice a day. Though it may seem like there’s nothing wrong with but actually, there is. 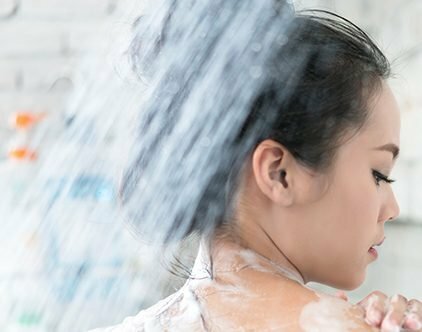 Showering for a prolonged period can do your skin some damage. That’s according to dermatologists and the studies conducted. Studies suggest that bathing too often is bad for the skin. All the washing, soaping, rinsing and luxuriating can do our skin some significant disservice. Dry skin and itching, which can lead to dermatitis of eczema, a disease that causes inflammation of the skin that is characterized by itchiness, red akin and a rash. 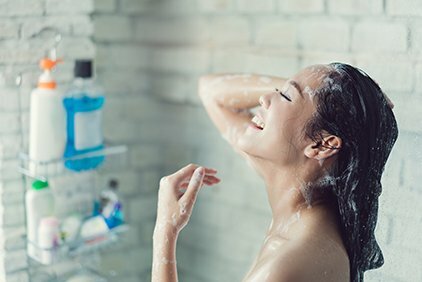 Due to the exhilarating heat and hot weather conditions in the country, it’s always tempting to spend 15, 20 or even more than 30 minutes in the shower to refresh and cool down our bodies. However, derma experts are one in emphasizing that too much showering can do no good. Do you know that the suggested right amount of time, as per dermatologists, for bathing is only five to 10 minutes? According to them, more than 10 minutes is already too much for the skin. Shorter is better as long showers can strip your skin of moisture and removes essential oils as well. The longer you shower, the more tendency there is for the water content to evaporate into the atmosphere, causing drier skin than before you bathed. It is important to be cautious in terms of showering time, especially the elders. Older people are more prone to dry skin and itching. As we grow older, oil glands tend to poop out, making you more prone to drier skin. To ensure that your skin remains healthy, adjust your bathing time accordingly and consult a dermatologist to know how to further take care of your skin.